Download this image file of the Choose Print logo that you can use for your email signature. Ask your graphics department for help in setting up an email signature for your particular software. Download and use the Choose Print logos on your print materials and website to help spread the word. Please follow the Logo Usage Guide for details on placement, colors, etc. Click here for some logo examples, or follow these links to download full sets of the three different logo arrangements: Main, Horizontal and Vertical. The following articles are available for you to use in your company newsletters and marketing materials. No reprint permission or attribution is necessary. Is There Really Still a Demand for Printed Magazines? 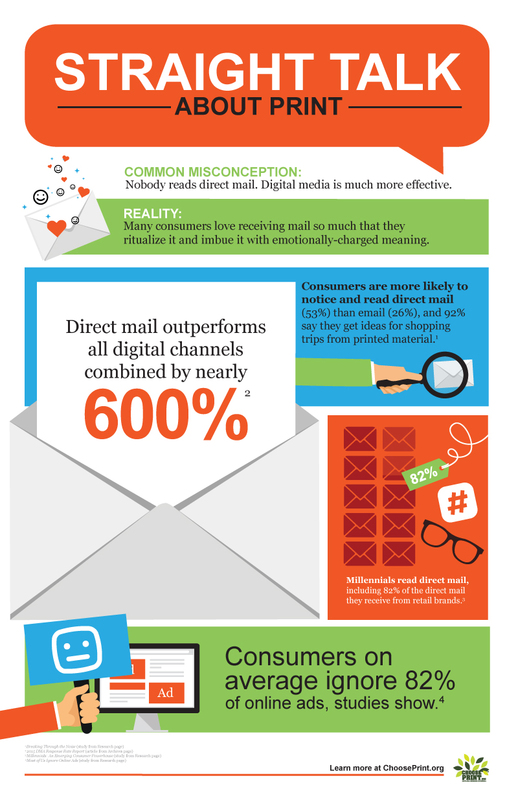 Has Digital Advertising Rendered Direct Mail Obsolete? 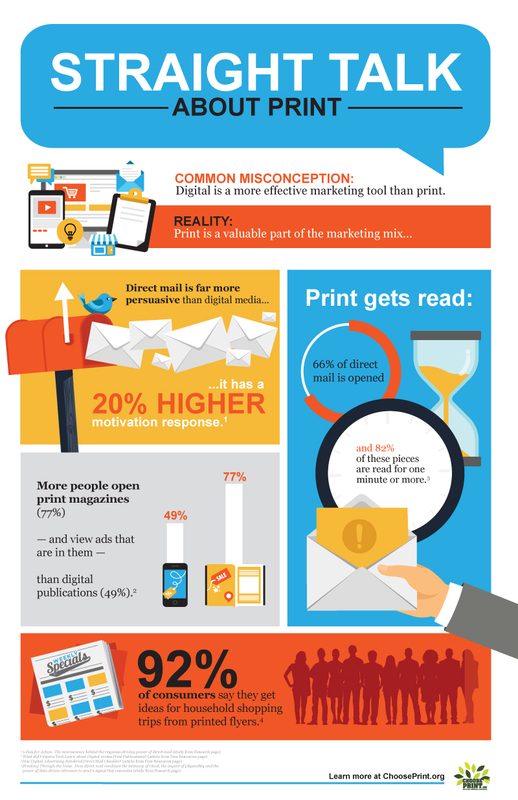 Why Are So Many Digital Publishers Turning to Print? Considering Switching from Paper to Digital Billing? 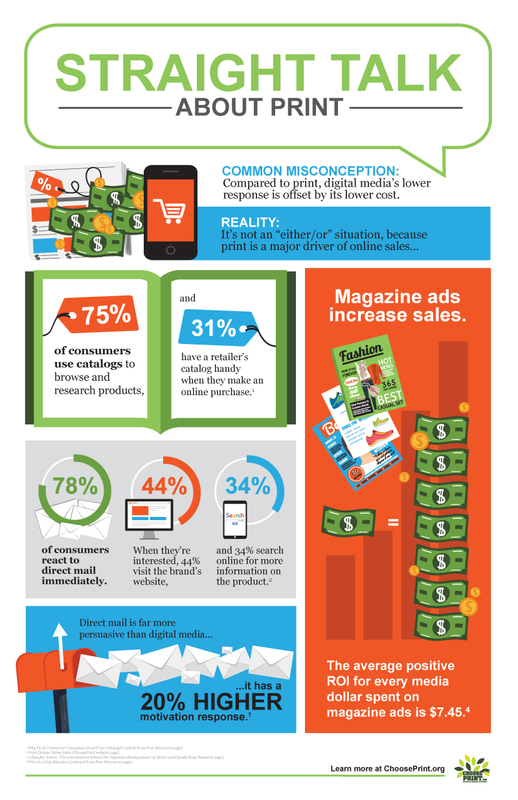 Why Do E-Commerce Companies Send Print Catalogs? Are Print Newspapers Still Relevant? Why is Print Such an Enjoyable Experience? Is Going Paperless a Way to Save Trees? 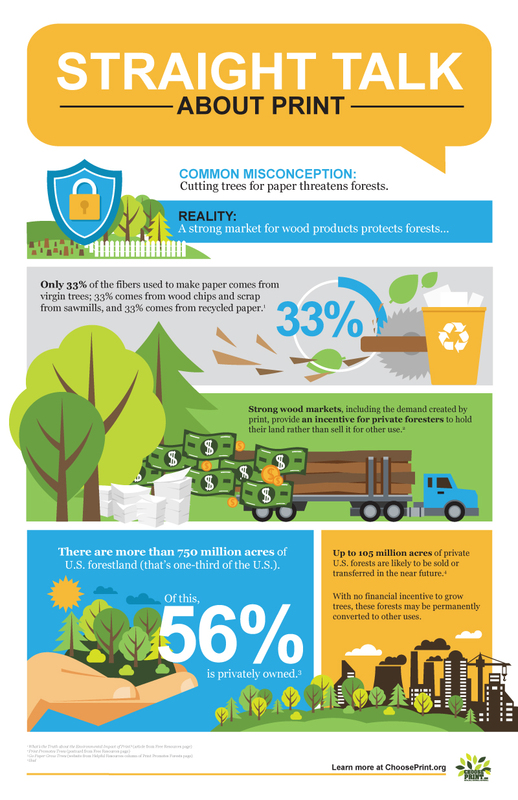 What's the Relationship Between Print on Paper and Healthy Forests? 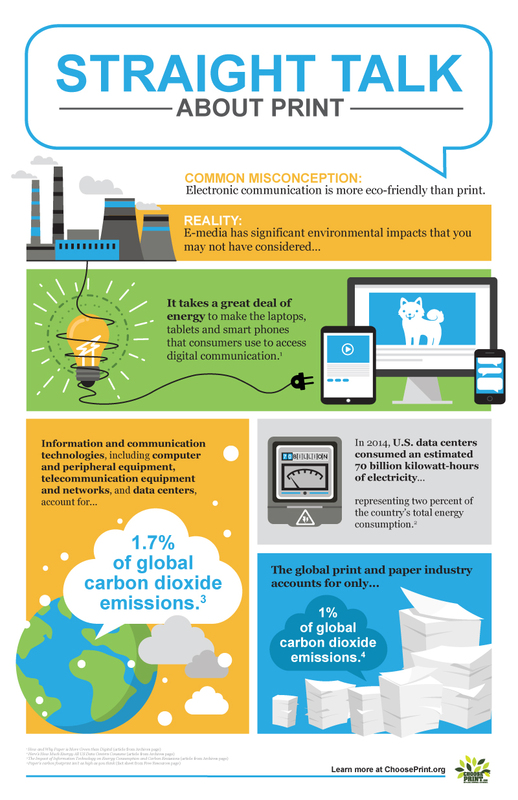 What's the Truth about the Environmental Impact of Print? 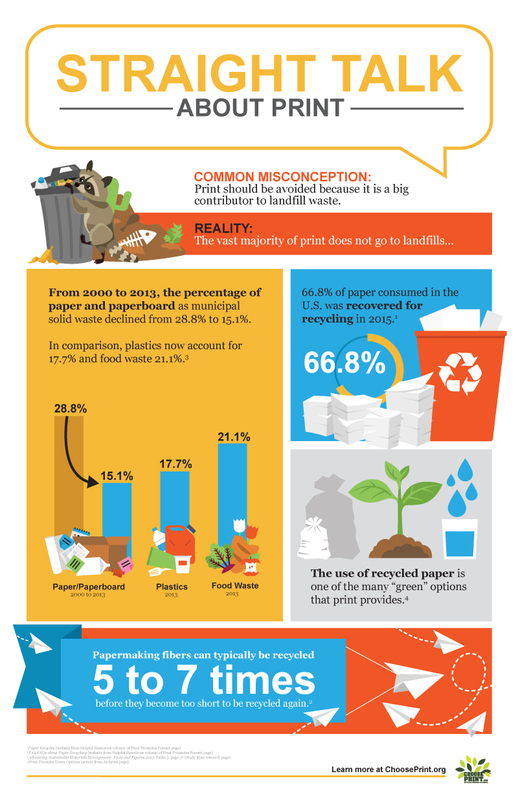 What Do You Know About Print and the Environment? Print out these 17" x 22" posters to prepare your team to overcome inaccurate but commonly-held beliefs about the environmental impact, communication power and marketing effectiveness of print on paper. Choose Print has created a series of postcards promoting the fact that print is an effective and environmentally-friendly choice. Please feel free to download these cards, add your logo and return address, and mail them to your clients. Please note: Postcards must be used as is, with no alterations or deletions other than the addition of your logo and replacing our return address with yours. Choose Print has created a series of full page print ads with accompanying articles for trade publications. Please feel free to download these ads and use them (as is) as reprints. They are available in full-bleed with crop marks or without cropmarks for in-house printing or cropped for emailing. Two Sides Ecographic: "Ready to Bust Some Myths?" Have you been receiving solicitations urging you to register for e-statements in order to help "save trees", and would like to be able to rebut this claim? Good news – a sample letter has already been drafted for your use.